Maldivian citizens can now use the e-gate at the Heathrow Airport in London, UK, says Minister of Foreign Affairs of Maldives, Dr. Mohamed Asim. Speaking in an interview with Public Service Media regarding the Visa Application Center at Ministry of Foreign Affairs, Dr. Asim said Maldivians who frequently travel to London can use the e-gate at the Heathrow Airport if they register beforehand. “Frequent travelers can register there and use the e-gate even now. I believe this is a huge convenience to people who travel to UK. We are collaborating with the government of the UK on this,” said Dr. Asim. The Minister of Foreign Affairs said the Maldivian government was working on making visa services easier for people who travel abroad. Maldivians who travel to the UK need to obtain their visa from neighboring Sri Lanka. But visas are currently available via the Visa Application Center until end of coming Thursday. The Maldivian government has collaborated with the government of UK in the past in campaigns to have visas to UK available from Maldives. Dr. Asim said the number of visa application during the current campaign is higher than previous years. 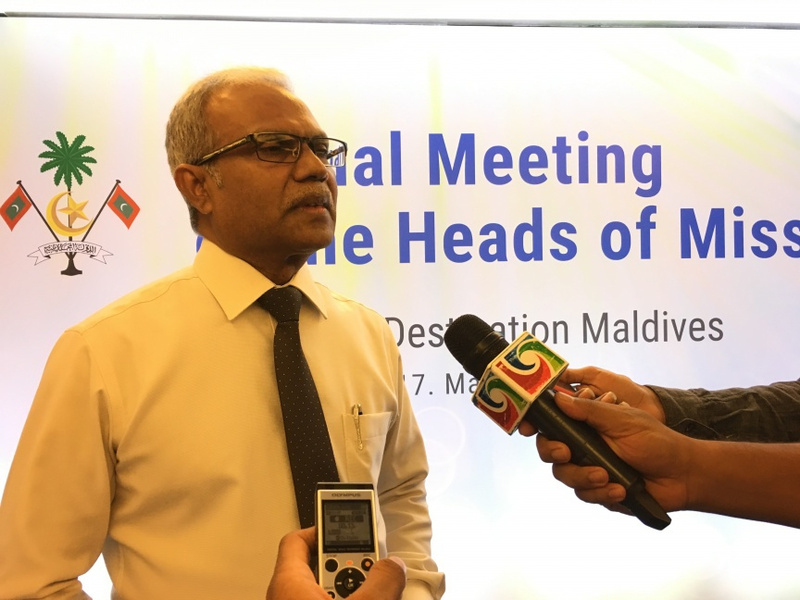 The minister said the government is negotiating for special visa arrangements for Maldivians travelling to Europe.